When things go wrong in First Nations communities, like the large number of youth suicides in Attawapiskat, some people say “let’s abolish the Indian Act” as the solution. When things go wrong in First Nations communities, like the large number of youth suicides in Attawapiskat, some people say "let's abolish the Indian Act" as the solution. Jody Wilson-Raybould, the Attorney General for Canada, said in Parliament a few weeks ago — on the debate on First Nations youth suicide — that the government needed to replace the Indian Act with a reconciliation framework. When Shawn Atleo was elected as National Chief in 2009, he said he wanted to get rid of the Indian Act in five years. The very harsh reality is the Indian Act is only one of the underlying causes that creates conditions so bad that youth consider taking their precious lives. Let's face it, not many youth know and understand the Indian Act, they only know the conditions they live in. What they know is the lack of positive change in their community, the lack of adequate housing that leads to overcrowding or substandard living conditions. The youth may suffer poverty, with no jobs for their parents or grandparents. Hunger is no stranger to them. Drinking, drugs and violence may be in their home, or possibly the home next door. They may have schools that don't have up-to-date text books, computers or even an internet connection. Youth who are committing suicide are a product of the whole colonization process that includes the Indian Act, residential schools, inadequate funding for their community for housing and services. It includes the racism and discrimination they face all the time in their schools or the towns they live in. They are talked down to, they are perceived as not having much potential, or pushed into a lesser degree, making it hard to get into a training program or into university. David Kawapit (left) was the young Cree man who instigated the monumental journey from Whapmagoostui, in northern Quebe, to Ottawa. 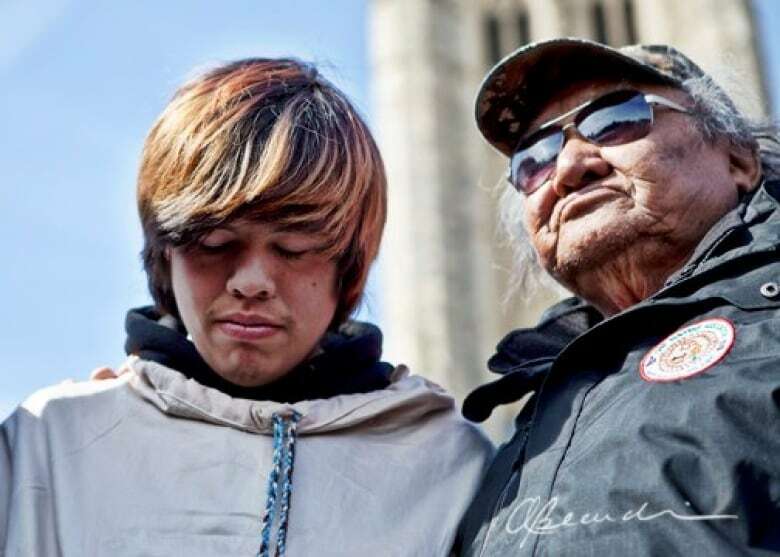 Kawapit is pictured here, with an elder, on the day the group arrived in the nation's capital. (Alice Beaudoin)They see First Nations occupying the land, in court, in the media, fighting for their rights — and that the government proceeds with projects like the Site C dam and pipelines even though it will destroy or impair their rights. 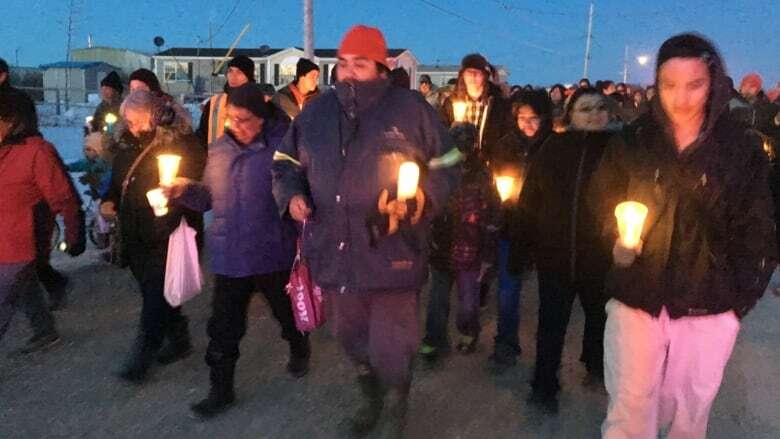 Youth see the great efforts made by people like the youth from the community of Whapmagoostui, Que., who walked 1600 kilometres to Ottawa to bring attention to First Nations issues. Those youth suffered and made huge sacrifices and for what? The government didn't change. They have seen many of their friends and cousins taken from their families and put in non-First Nations homes because their parents were judged to be incapable of looking after them. They see how confused these children are about where they belong and who they are. They see that First Nations are one of the highest incarcerated groups in the country and they see the impact of those members being taken from the community, and then coming back. They know that health care is inadequate and have seen the sickness and deaths because the care wasn't there. They have seen that everywhere in Canada there is clean drinking water — except for some reserves. Youth see that First Nations have to fight for everything they need and that the fight doesn't always lead to success. I have lived with this, my children have lived with this, and I hope my grandchildren won't live with it. As a chief of 14 years, I witnessed this and tried to make changes. As a leader in B.C. I have been in many communities and I know the conditions that exist. I was a chief negotiator for the B.C. Treaty process for 16 years. We tried to displace the Indian Act with a true treaty with no success. My grandfather in 1922 tried to do the same. First of all you need to deal with the reserve lands, how will they be held? Of course, governments want you to hold them in fee simple so your people can pay tax. They don't want to recognize Aboriginal title lands. The tax exemption has long been a small benefit to First Nations people and one that needs to remain and the governments insist on it being given up as you see in all the modern Final Agreements. Governance is a big issue as the governments try to keep a limited range of powers that don't allow a First Nation enough jurisdiction over their lands, resources and people. Paternalism is very strong. There are good reasons why there are so few completed final agreements in B.C. — it is tough to get the governments to agree to the solutions First Nations need, that go beyond the Indian Act. Youth suicides are a crisis in some First Nations communities and need urgent and immediate solutions. But there is not one quick fix. People really need to understand that even if the Indian Act was repealed tomorrow, it would not change the dire effects of colonization or the continual racism that is present in many places in society. I think most of all, there has to be honest, good faith negotiations to settle outstanding issues in relation to the land, resources and shared decision making on First Nations territories. The most important underlying issue to this is being able to continue our relationship to the land, to exercise our rights on the land, to go to our sacred sites without being interrupted, and to know that developments won't come through the middle of our burial sites. This is a big picture kind of fix that is needed and First Nations leaders and grass roots people need to be part of the solution and the efforts to prevent suicide. Our people need hope, they need to see positive changes, and most importantly our young people need to know there is much to live for. A version of this article was initially published on First Nations in BC Knowledge Network: A space to exchange information between First Nations communities. It has been edited and republished with permission. 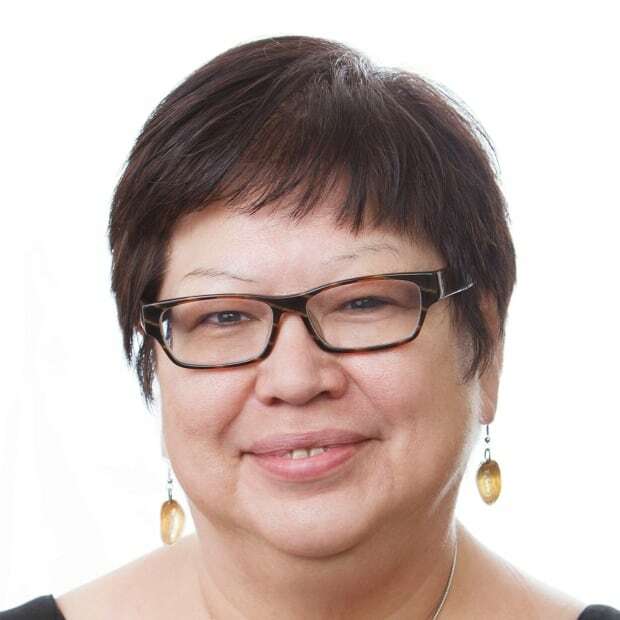 Dr. Judith Sayers (Kekinusuqs) is a strategic adviser to First Nations and corporations, providing advice on many issues including relationship building and negotiating equitable agreements. Judith is the former chief of the Hupacasath First Nation, located in Port Alberni, B.C.